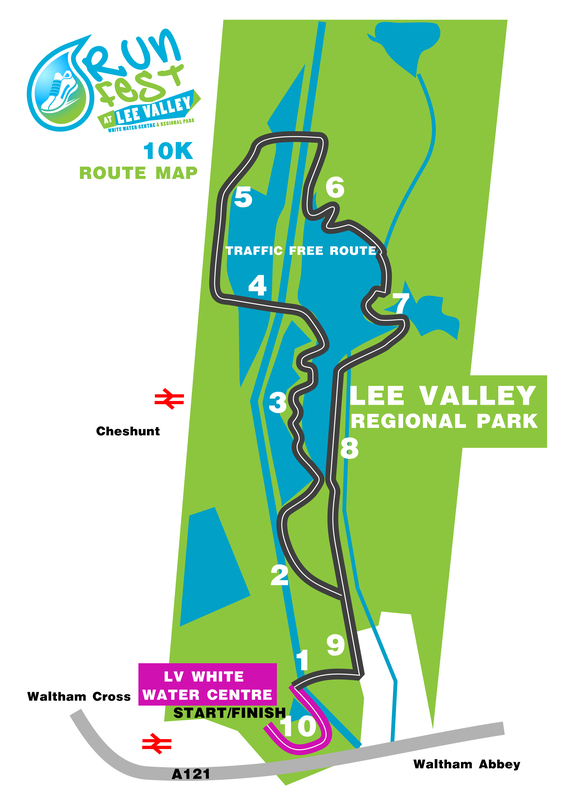 The Run Fest at Lee Valley takes place at the White Water Centre at Lee Valley. The venue boasts a beautiful regional park which makes this one of the most picturesque running events in the UK! On offer are two races – a half marathon and a 10K. Both are classed as road races and they take place on a traffic free course. Since this is a very flat course we are expecting plenty of personal bests at the finish line. Both races start and finish at the White Water Centre and as this is an ActiveTrainingWorld event you can expect a well marshalled race with a unique custom medal at the finish! 10:00AM for the half marathon.